You’ve purchased a professionally written resume, you’ve read it, and it looks good. You’re ready to send it out, right? Not quite yet. To make the most of your investment and give yourself the best chance at being invited to interview, consider these three caveats. 1: The resume may still need proofreading. As you probably know, a single typo can get your resume thrown straight into the trash. At the very least, an error creates doubts about your reliability with details. “But it was professionally written,” you may say. “Didn’t the resume writer proofread it?” Yes, they probably did, and that’s the problem. It’s devilishly hard for a writer to effectively proofread their own work, because they’re focused on the overall meaning of the words, while proofreading requires a focus on one word, letter and comma at a time. During my twenties I worked at a magazine and then a book publishing company, and I can tell you that if anyone on the staff had said “It’s okay, the writer has proofread this, and he/she is a professional so there won’t be any mistakes,” everybody within earshot would have assumed they were joking. Proofreading is more difficult than most people think. If you don’t believe it, these clever memes may open your eyes. Since I became a career professional more than a decade ago, I’ve seen many excellent resumes written by other resume writers that were excellent and without mistakes. I’ve seen many others that had grammatical errors, missing words, misspellings, faulty punctuation, capitalization errors and more. In some cases these were by well-known writers with excellent websites and reputations, even awards. Probably all of these faulty resumes had been proofread, but only by the writers. The job seekers for whom they were written hadn’t caught the errors, either. As a resume writer myself, I will confess that before I started working with a professional proofreader I, too, occasionally delivered resumes with errors. Hire a proofreader. The cost is typically only a few dollars per page. You can find these professionals on freelance sites such as Upwork. And proofread it yourself too, mainly for accuracy of your dates of employment and other facts that the proofreader can’t know. And because even proofreaders are human and can make mistakes. 2: It may be a great resume—or not (plus: tips for how to hire a resume writer). I know this is painful to hear if you’ve just spent $400–1,000+ (pretty typical prices for a good resume), but your future is worth far more than that figure. One common resume weakness is a lack of accomplishments. 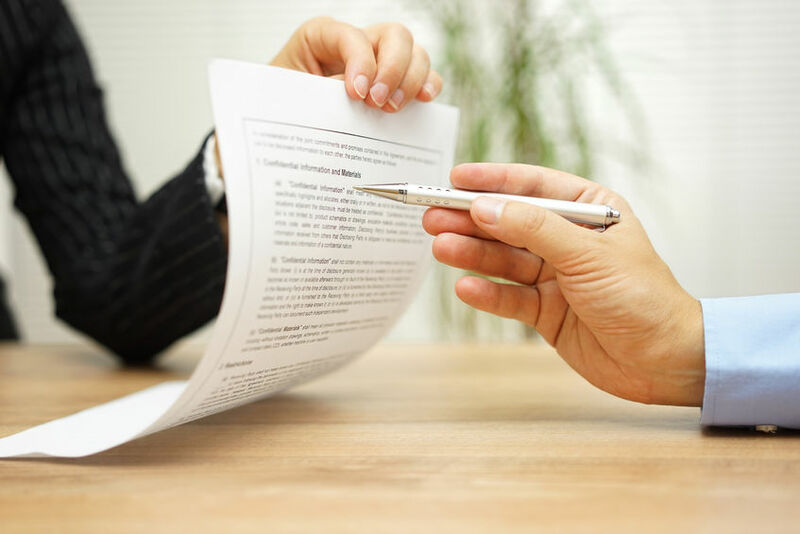 A good resume communicates not just what you did at your jobs but more important, how well you did it and the difference you made; it emphasizes your key selling points; it’s skimmable, making the right impression within seconds–and more. Read my Resume “Must-Haves” checklist for a quick summary of what you should expect from a well-strategized, well-written resume. Before you hire a resume writer, look at their experience, reviews and/or testimonials. Look for a serious commitment to their craft demonstrated by formal resume-writing training, certification in resume writing and a professional web presence. None of this is a guarantee of quality, but it’s a good sign. Ask to see resumes they’ve written and compare them to the checklist above to make sure the samples follow the best practices. Many resume writers, myself included, are willing to do a brief free consultation to discuss your resume and their ideas for improving it. See if what they’re saying makes sense to you. Also ask them about their process. How will they gather information from you? A resume is made from the questions the resume writer asks. Some job seekers try to use a free consultation as a substitute for paid help, referring to their sketchy notes from the conversation as a how-to manual for rewriting the resume on their own. This is totally inadequate. If the writer is highly skilled, those initial comments are only a brief summary of the improvements they’ll make once they start work on the project. If you want to take the do-it-yourself approach, get your tips from a good, complete, current resume book–for example, Modernize Your Resume by Enelow and Kursmark–not from a 10-minute phone call. 3: A great resume does not equal a great job search. Don’t over-rely on your resume, no matter how good it is. For most job seekers, simply sending out resumes in response to job postings is not the most effective way to get a job, either in terms of how fast it will work or the quality of the position you’re likely to obtain. The most successful job searches focus on networking activities such as informational interviews. Am I trying to talk you out of investing in a professionally written resume? Absolutely not. A skillfully written resume is a strategic marketing tool that can pay for itself many, many times over. And as difficult as proofreading is, in my humble opinion resume-writing is even harder. Do hire a pro, and do your due diligence as well. You and your career are worth it.